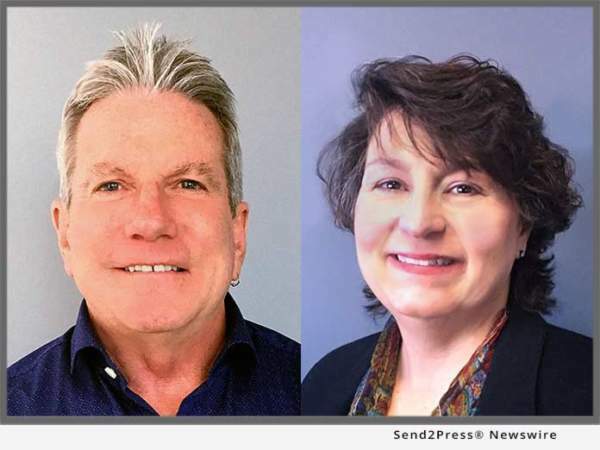 SAN DIEGO, Calif., Dec 19, 2017 (SEND2PRESS NEWSWIRE) -- ReverseVision, the leading provider of technology and training for the Home Equity Conversion Mortgage (HECM) industry, today announced it has added new Chief Technology Officer (CTO) Jim Magner and Vice President of Operations Stacey Lund to its senior management team. Magner brings more than 20 years' technology leadership experience across such diverse verticals as banking, enterprise security, travel and leisure, lifestyle products and automotive. As CTO of ReverseVision, he will guide the firm's product development, platform operations and internal IT teams. Lund has over 25 years' experience driving operational improvements and leading customer service and support teams for companies in a variety of industries. As VP of operations, Lund will oversee ReverseVision's training, professional services, education and document operations departments. She joins ReverseVision from Affinity Development Group, where she served as vice president of member services and was responsible for managing the performance of Costco's Auto Program contact center. She has also served in executive roles at Mitchell International and Inetcam. Lund holds a master's degree in communication management from the University of Southern California. "We are pleased to welcome two highly experienced leaders to our senior management team," said ReverseVision President and CEO John Button. "Through their respective roles in technology and operations oversight, Jim and Stacey will each play a significant role in helping ReverseVision achieve our operational goals, drive positive customer experiences and lead the business into the future." "In today's economy, every company needs to be customer-focused," said Lund. "I believe my intensely customer-centric background in enterprise-level SaaS support, partnered with ReverseVision's strong strategic and data analytics, will help us transform our client experience and propel the company forward. I am excited to join the ReverseVision team!"